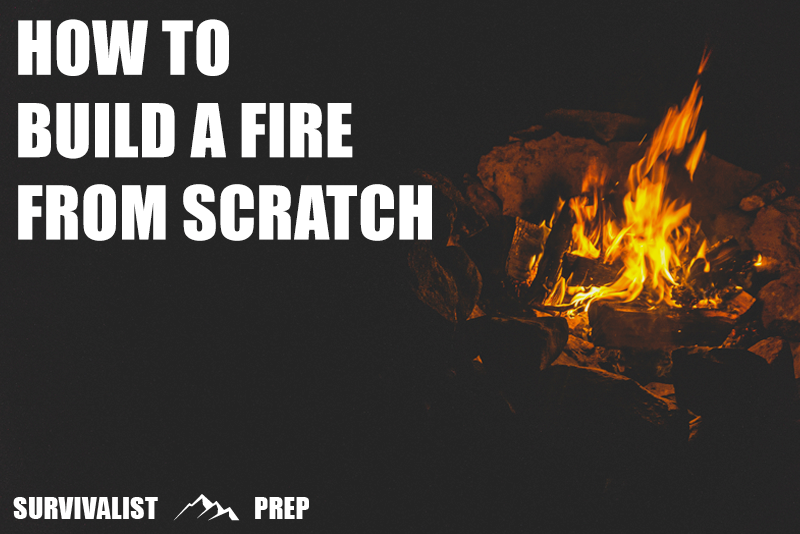 Knowing how to build a fire from scratch is perhaps one of the most crucial survival skills you can learn. 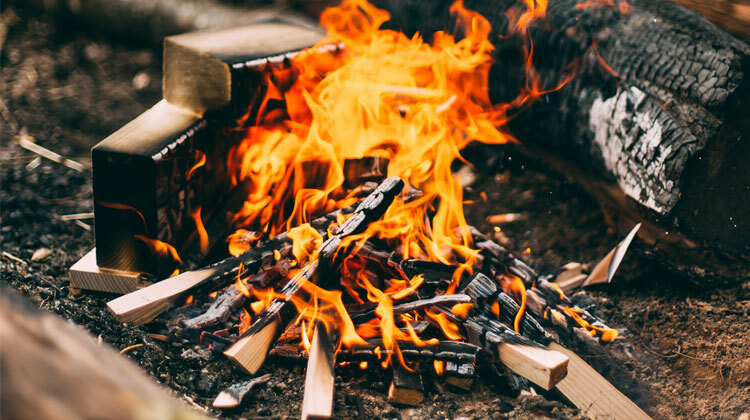 Whether you’re just out camping with the family and want a campfire for storytelling, or need to generate heat quickly for warmth or cooking in an emergency survival situation, being able to build a fire is a fundamental skill that everybody should know. Our firemaking guide is here to help get you started. The ability to harness fire is one of the oldest skills known to mankind – and for good reason. For our ancient ancestors, the ability to build a fire meant warmth and illumination in the long nights and protection from predators at all times. From generating heat and light in the cold and dark, through to allowing you to cook food, boil (and purify) water as well as sterilize instruments and even to make tools, knowing how to build a fire can mean the difference between life and death. Given the importance of knowing how to build and start a fire, the introduction of industrial life and modern conveniences such as electricity have all but extinguished the knowledge of how to build a fire from scratch. Outside of matches and a lighter, many people would probably struggle to get a fire started (or even know where to begin) if they found themselves in a situation that required it. With this in mind, we decided that it was time to put together the definitive firestarting guide to walk through every option, technique and principle related to the topic of how to start fire to help everyone – from novice to expert – start, build and maintain a fire, wherever (and whenever) they need to. So grab some kindling and let’s get this thing going! When building a fire, there are a few basics that always hold true, whichever method you use and whatever the scenario, so let’s get down to the essentials and look at the fundamentals of getting a fire going. Quite literally the foundation of any fire you build is the base known as the fire bed. Unless you’re using a pre-constructed fire pit or self contained solution, you’ll need to create a fire bed on which to build your roaring fire. The main consideration here is safety, so when scouting out a suitable location for placing your fire, look for a site that’s clear from trees and any other potentially flammable neighbors. When you find an appropriate area, clear the ground of all loose foliage, dry leaves and grass so you’re left with a clear patch of earth. Bring together enough dirt into your cleared fire area to be able to build a ‘bed’ of earth around 4 inches in thickness. This is the platform for building your basic fire. As you probably know, there’s no smoke without fire, and (generally speaking) when building a fire outdoors, there’s no fire without wood. 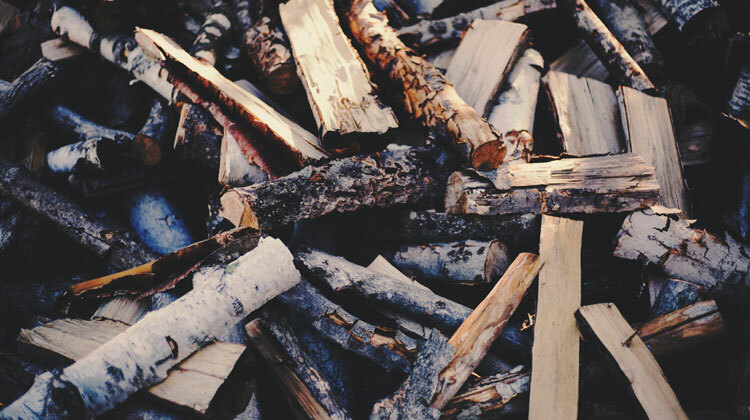 There are a couple of essentials when it comes to sourcing wood for your fire and it all starts with knowing the main categories of wood that you’ll need. Probably the most crucial ingredient when actually starting a fire, tinder is the catalyst that really gets things going at the outset. The key consideration for finding the best tinder is to find things that catch fire and burn really easily – kind of like lighting a piece of paper. When you’re building a fire outdoors, look for the driest material you can get your hands on such as dried leaves, dry grass or dry bark. Remember that wet tinder almost certainly won’t catch, so avoid damp material at all costs. If you’re preparing a bug out bag ahead of time, an excellent investment here are some all weather tinder cubes that will work in all conditions, if you’re likely to encounter rain. Another good option for use as tinder is to either carry some cotton balls or if you own a dryer – dryer lint. Both of these options are incredibly lightweight (perfect for a grab bag) and also super easy to come by. If space is less of an issue – for example if you’re storing in your home or loading up a bug out vehicle – then a pre-prepared camp fire starter is also an excellent route to go down to ensure you’re covered when it comes to getting your fire going. Once you have your kindling alight, it’s time to start slowly and incrementally building up the fire. In order to keep the flame from your tinder going and growing, you need to begin adding gradually larger material (known as kindling) to the fire. As with the tinder you used to start the fire, kindling needs to be based around a material which is as dry as possible. In terms of size with kindling, we’re graduating from the smaller dry material used as tinder up to larger pieces such as small branches, twigs and dry off-cuts to build the fire up. When your fire is starting to take shape with the kindling burning nicely, your next goal is to keep it fed – again gradually as you go – with larger ‘fuel wood’ to ensure that it increases in intensity and continues to burn. Don’t go crazy with the size of the fuel wood you feed your fire at this point. While larger branches and logs will burn longer, they will also take a long time to get going. The ideal fuel when you move on from kindling are dry branches that are roughly the size of your arm. Once the fire is well underway, slowly add larger branches or pieces of wood to maintain a slower burn or smaller pieces of fuel for a shorter, but more intense output. Almost as important as getting your fire started in the first place is knowing how to thoroughly and safely put it out when you’re done. When extinguishing a fire, the priority is always to make sure it’s completely dead once you’re done. The following steps will help ensure your fire stays out when it’s time. Begin by slowly adding water to the fire – Any water from a nearby source will be ideal for this purpose but make sure not to cross-contaminate your clean and ‘utility’ water sources (for example, don’t use a bucket or pan for both impure and clean water). Any water used to extinguish your fire should not come from your drinking supplies. Slowly add water to the fire to extinguish the immediate flames. Stir the embers with either a stick or shovel – Stir and turn over the embers to ensure that everything is wet from the first round of water. It can be tempting to think at this stage that no flame equals no fire, however this is never the case. Use the back of your hand to feel around the ember area to feel for heat. If there’s still heat in the vicinity, the fire isn’t extinguished. Add another round of water and stir again – Having repeated this process, check again for signs of heat (as well as steam and hissing when you add more water) to get an idea of progress. When the area immediately surrounding the ashes feels completely cool, the fire is extinguished. Dispose of the ashes and remove the fire bed – Spread the residual ashes around the campsite and then replace the dirt used if you made a fire bed. You’ve probably read or watched countless examples of people showing you (or telling you) how to start a fire with sticks or any number of easy to access natural materials and thought that in a pinch that it would be simple enough to pick it up in a survival situation. The fact of the matter however, is that there are countless easier ways to build a fire other than relying on what you may have to hand in an actual survival situation. In an actual disaster or emergency, you’re likely not going to have the luxury of the ‘ideal conditions’ to get your fire going. We’re talking rain, cold, exhaustion, chaos and confusion – all potentially in an urban situation (where’s a good quality stick when you need it?). All of this is to say that true survival is about expending the minimal energy for the maximum result in the safest way possible, this is the case with starting fire as it is with any other survival skill. If for whatever reason, you find yourself without access to matches, a lighter or a fire steel/flint, there are of course a number of improvisation methods you can call on to get your fire underway. As with all things, there’s a scale of difficulty with each of these – some are relatively straight forward, while others can be challenging to master. Some of these simpler methods are easily improvised with a few extra, low cost additions to your fire starting kit and utilize the power of the sun or simple reactions to generate heat or a fire starting spark – just add tinder. With that being said, having an overview and understanding of trickier, primitive fire starting techniques can also be extremely useful, so that you can always start a fire, no matter what. In this section of our guide, we’ll look at both the easy and the not so easy methods of starting a fire to give you full coverage of every technique. Sometimes in a survival or emergency situation, you may end up needing to build a fire without matches. If you find yourself without access to the standard equipment for getting a fire going, there a few simple techniques that will have you making fire in next to no time. To start with, you’re going to need some super basic supplies to make an improvised fire starting kit that you can fall back on if your matches go missing or your lighter gives up on you. BONUS – Invest in some artificial fire starting tinder and add to this kit to make life a whole lot easier if you need to build a fire and keep it going. This kit can be put together for less than the cost of a decent lighter and can quite literally be a life saver if you find yourself needing to call on it in dark and cold times. Make this a fundamental addition to any bug out bag you put together and learn the techniques below to turn these basic household items into powerful fire starting sources. If you’re anything like us, then you (and any plastic toys you had as a kid) probably know how intense the sun can get when it’s focused through a magnifying glass. This super-focused point can also be channelled into creating fire so long as you bring a suitable lens or two with you when you need to get a fire underway. While you don’t specifically need a magnifying glass or lens for this technique to work (binoculars and reading glasses can double up as replacements in a pinch), for the negligible cost and small footprint they take up, you really want to consider investing in a simple magnifier like this if possible and slipping it into your kit. The tinder should begin to smoke before catching fire, gently encourage the fire and then follow the steps outlined earlier to build the fire up. Probably the most important thing to remember with this fire starting method is that you need sun for it to work, so you won’t have great luck if it’s overly cloudy or dark outside. With this technique, you definitely want to get your fire started before the weather turns or night draws in. This technique is so useful, we also recommend carrying a ‘card-style’ magnifying lens or Fresnel lens in your wallet or purse as an on-the-go fire starting addition to your everyday carry kit. A highly effective way of generating fire quickly if your traditional fire starting methods are out of action is to utilize the current of a 9v battery alongside some steel wool (fine wool works best here). Build up your main fire as before. 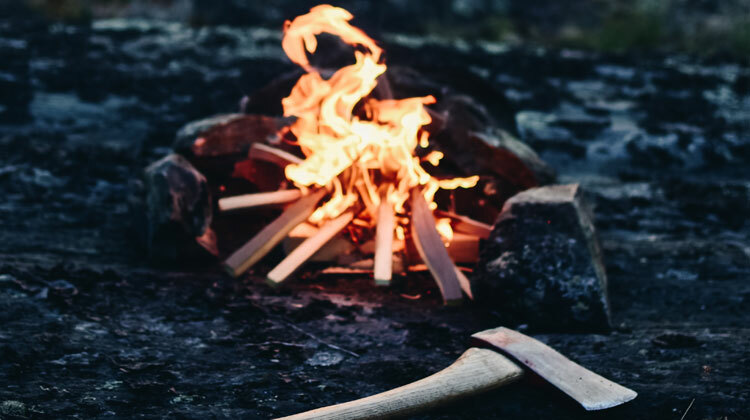 Whether we’re talking about how to build a fire with sticks (such as Drill or Plough approaches) or striking flint to get the job done, the traditional ways primitive people started fire and which are still practiced in certain parts of the world (as well as by outdoor enthusiasts) are well worth getting to grips with if you have the time to learn them. If you’re packing a bug out bag or are planning to get out of town in an emergency, carrying a few of the best fire starting tools in your kit is a worthwhile investment. 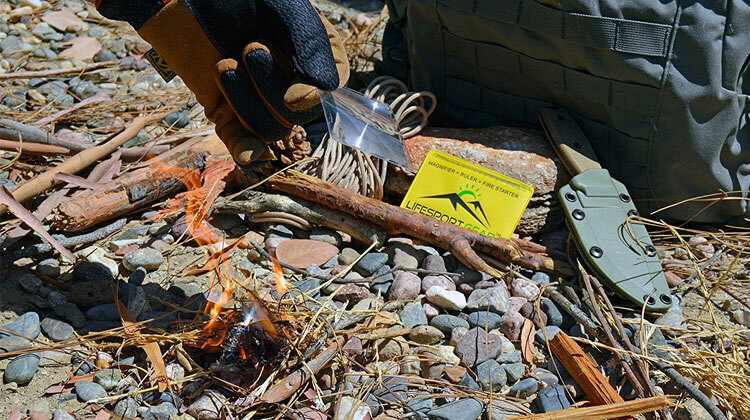 We’ve outlined some of the best fire starting tools below that are worthy of serious consideration when putting together your survival gear packing list to ensure easy access to fire starting capability, no matter the situation. 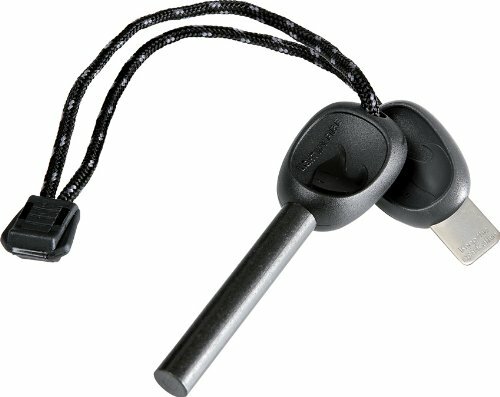 The Swedish FireSteel fire starter is the missing link you don’t want to be without when it comes to starting fires at high-altitudes and in low temperatures. Providing the ability to ignite flammable gas or liquid directly (even when the striker is wet), the Swedish FireSteel 2.0 fire starter produces a 5,400° F (2,980° C) spark and is ideal for use alongside both modern gas stoves and traditional alcohol-based alternatives. The latest iteration of this legendary Swedish fire striker includes design improvements such as a precision stainless steel striker, ergonomic handle, and a built-in emergency whistle. As with all of our preparedness guides, we reference as many expert sources, real world user reviews, and opinions as possible so we’re able to provide the most relevant and educational information on how to build a fire from scratch. Knowing how to build a fire is ultimately a highly personal activity with individual needs, skills, and external factors sometimes varying considerably between people, locations, and specific situations. With these considerations in mind, this guide looks to provide advice on our own opinions of how to build a fire, however, it’s always important to carry out your own due diligence to find the best solution for you when developing a strategy, plan, and solution that’s perfect for your situation.